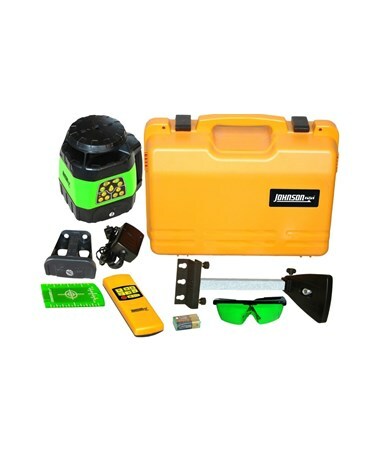 Featuring GreenBright Technology, the Johnson 40-6544 Green Beam Electronic Self-Leveling Rotary Laser comes with a green laser beam that is 400% more visible than red and helps to reach out more distant surfaces. 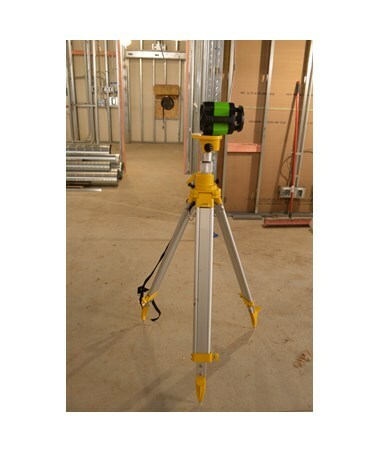 Electronically self-leveling within ±5 degrees, it can give an accuracy of ±1/8 inch at 100 feet. 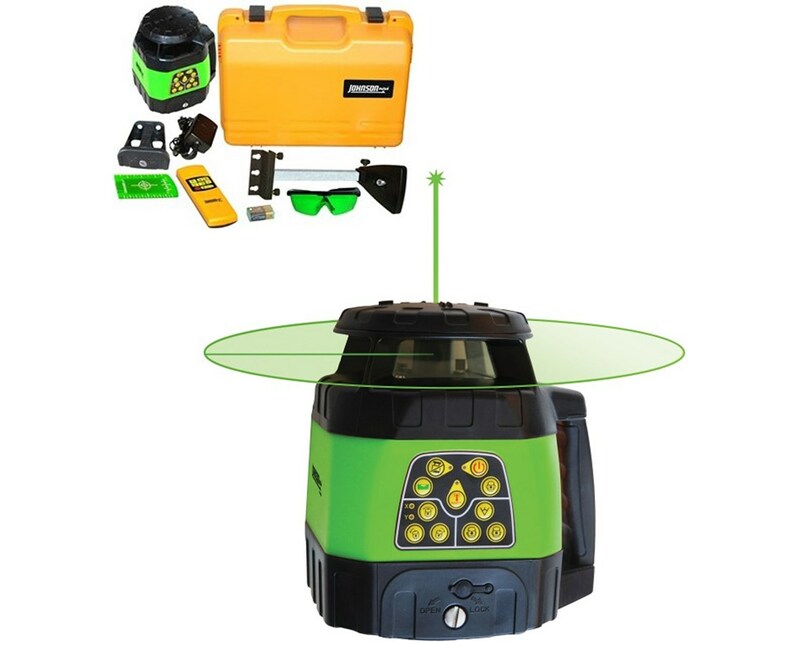 This rotary laser can operate with an interior range of up to 400 feet and an exterior range up to 1,200 feet exterior range with a laser receiver. 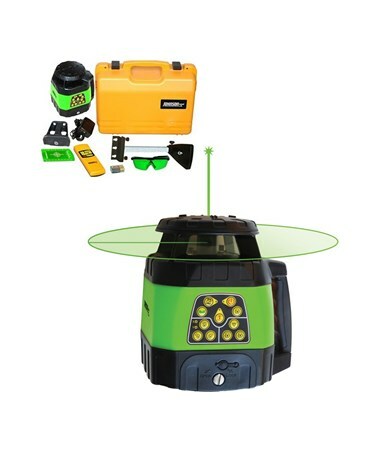 Featuring an electronically-controlled dual slope feature, this rotating laser provides horizontal and vertical self-leveling. It has rotation speeds of 200 and 500 rotations per minute and three scan angles of 0, 30 and 60 degrees. To ensure product accuracy, the Johnson 40-6544 laser has a tilt alarm. Also, it has visual and audible alarms when beyond leveling range. The Johnson Level rotating laser is protected from dust and water with its IP54 environmental rating. 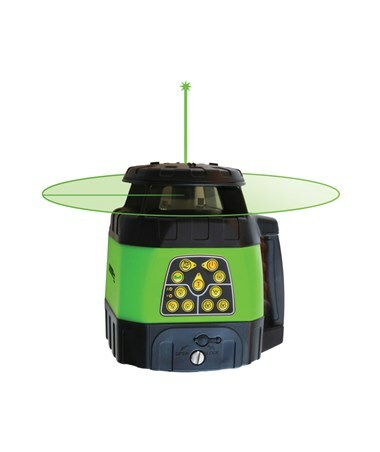 It can operate up to 24 hours with NiMH rechargeable batteries and 40 hours with alkaline batteries. In addition, it comes with a 5/8-11 tripod thread for easy tripod mounting.